This past Tuesday, April 5th, Cecilia Vicuña (AP Faculty) and CA Conrad were featured for DIA Art Foundation’s Readings in Contemporary Poetry. Vicuña is a poet, visual artist, filmmaker, and political activist who addresses pressing concerns of the modern world, including ecological destruction, human rights, and cultural homogenization. Vicuña has published twenty-two art and poetry books. For more information on Readings in Contemporary Poetry at the DIA Art Foundation and audio of the reading, follow this link. The MFA Art Practice Summer Residency period began last week, with a presentation from multidisciplinary artist Cecilia Vicuña. Born in Santiago de Chile, Vicuña is a poet, artist, filmmaker and political activist. She is the founding member of Artists for Democracy, Her practice includes the construction of “precarious works," — ephemeral installations in nature, cities and museums. Her work has been exhibited widely, including at the Museo Nacional de Nellas Artes de Santiago, the Institute of Contemporary Art (ICA) London, The Whitney Museum of American Art, and the Museum of Modern Art (MoMA). She is the author of sixteen books, including Unraveling Words & Weaving of Water (1992), The Precarious/ Precario (1983), Cloud Net (2000) and Templo e'Saliva/ Spit Temple (2010). Vicuña lives and works in New York and Chile. 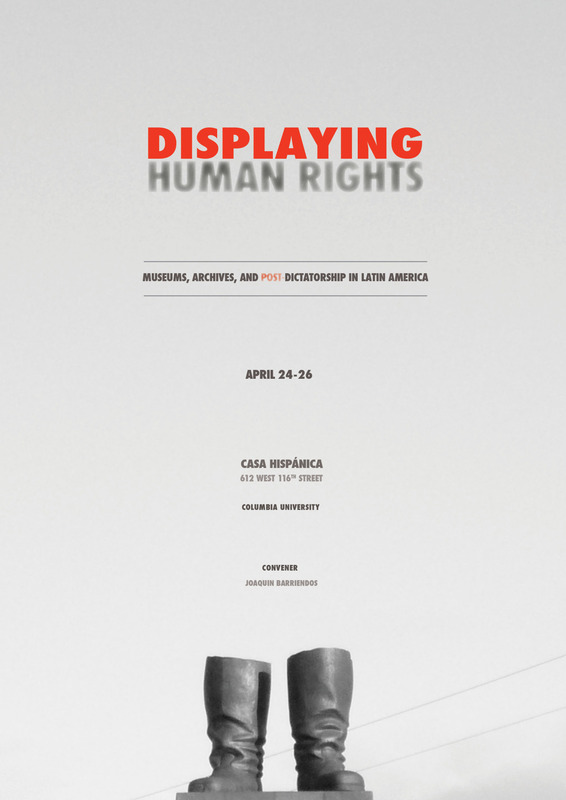 Cecilia Vicuña (AP Mentor) will be speaking at the “Displaying Human Rights: Museums, Archives and Post Dictatorship in Latin America” Conference at Casa Hispánica, Columbia University on Saturday, April 26th.